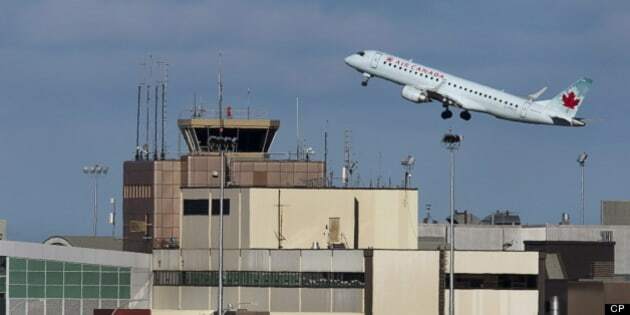 An unruly passenger who forced an Air Canada flight en route to London&apos;s Heathrow airport to divert to Halifax faces several charges after the incident. The 51-year-old Vancouver man, Stanislav Kalmin, has been charged with endangering the safety of an aircraft, assault with a weapon, and mischief. Sources tell CBC News that Kalmin may have used a shoelace in a threatening manner against the flight crew. The Boeing 777 aircraft left Vancouver airport at 6:30 p.m. local time Monday night and had to make the stop at Halifax&apos;s Stanfield International Airport at 5:15 a.m. AT on Tuesday for about two hours, according to the website Flight Aware. Police allege that Kalmin became unruly on the flight, throwing water on passengers and crew. The man was also uttering threats toward the crews and acting "strangely" while at the same time ignoring the crew&apos;s attempts to calm him. After the flight landed in Halifax, the man was taken into custody and brought to hospital for assessment. Kalmin was released from hospital, and was remanded back into custody. MacRae said the man could face hefty fines. "Especially with the Aeronautics Act and also the Criminal Code charges, fines can be quite punitive, they can substantial and they can range in the thousands of dollars. What will transpire in court, of course, will be a matter for the [justice] system," he said. "The charges are serious. I would like to get a message that, yes, they’re not an everyday incident but they have happened in the past. They cause a lot of inconvenience for passengers, costs are incurred by the airlines and of course the disruption in the airports — and police take these seriously." Kalmin was scheduled to appear in provincial court in Dartmouth on Wednesday.